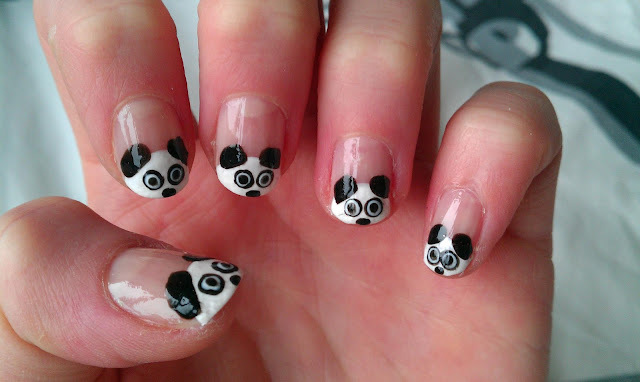 I have made this Panda Nail-Art on my nails today, and I wanted to show you guys how I did it! 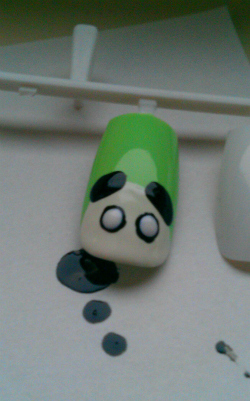 Paint a half white circle on the tip of your nail. 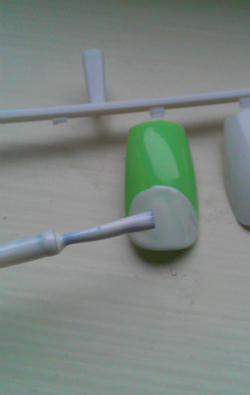 Use your nailpolish brush to paint two black strokes as ears. 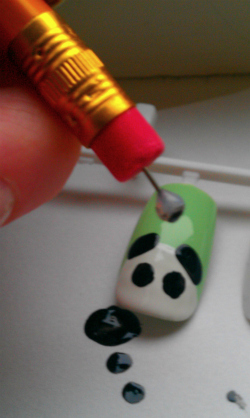 Use a big dotting-tool, or make one yourself with the back of a needle like I did, and make two large dots as eyes. 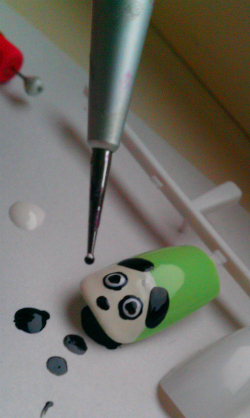 Use that same dotting-tool again for two large white dots on top of the black dots. 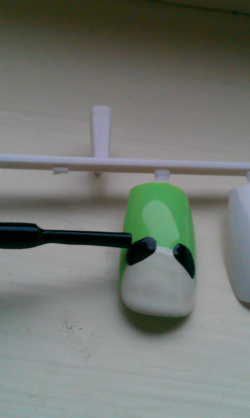 Use a smaller dotting-tool, or use a toothpick, and make a tiny black nose and another pair of dots on the eyes as the pupil.